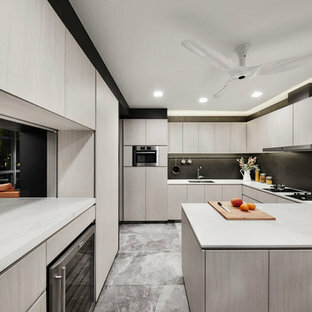 How Do I Plan My Kitchen Renovation? Singaporeans love food, eating and cooking. That makes kitchens an important part of their homes. 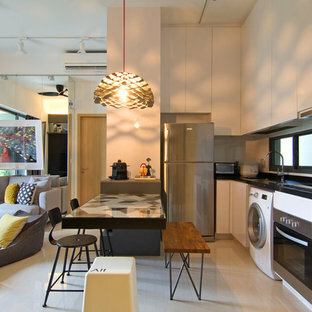 With limited space available in HDB apartments and condominiums, your kitchen design needs to be a blend of form and function. 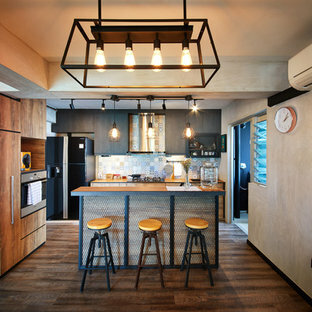 If you’re renovating your kitchen or designing a new one from scratch, the first question to ask is "what layout do I want?" Your layout determines the way you cook, entertain. For example, do you want a kitchen island to socialise and entertain friends and family? Or would you like easy access between the stove, sink and refrigerator? 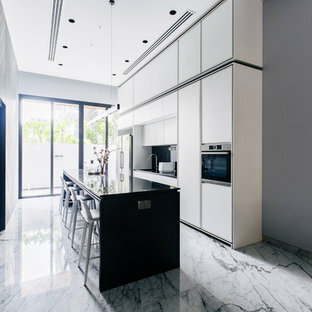 Storage, preparation and cooking are the three main functions in a Singaporean kitchen, and you should plan according to these three factors. 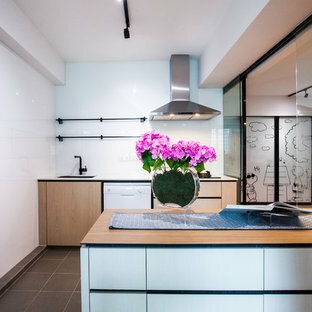 Most homes have either an L-shaped, U-shaped or galley kitchen. 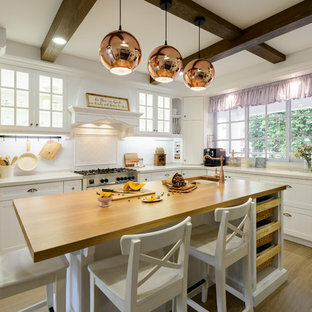 Thoughtful space planning around these three factors ensures that you work smoothly around the kitchen. Together, the three factors make up the kitchen work triangle. 3. 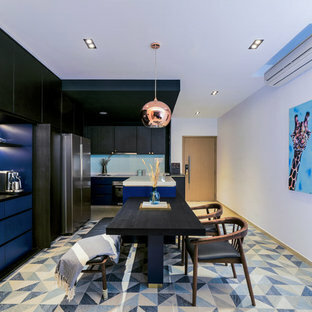 Design: Which Style, Colours and Materials For Your Kitchen? In general, use one colour for vertical surfaces (kitchen cabinets), and another for horizontals (kitchen counters). Save vivid colours for the backsplash, which can be easily changed. Your choice of colour for surfaces will also direct your selection of finishes for the kitchen countertop material, taps, hood and sinks. 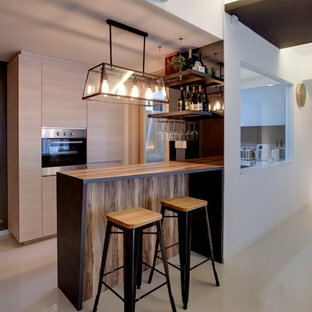 For example, a Scandinavian style wood-themed kitchen can contrast with black taps and geometric backsplash tiles. Lighting is often called the jewellery of kitchen design - getting this right will impress friends and family. 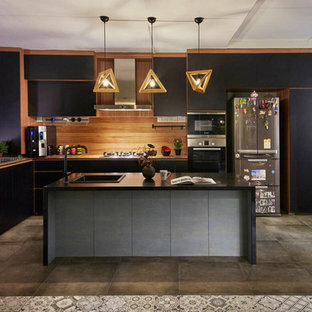 Pendant lights should be used on a kitchen island to create atmosphere. Soft lighting can bring out the textures of the kitchen cabinet's design and pattern of backsplash tile finishes. 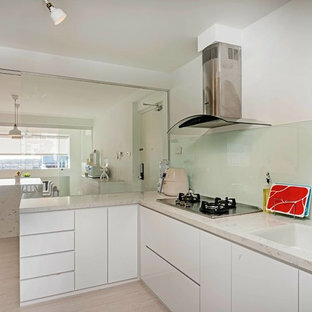 Have a look at the kitchen design photos on Houzz to see what an L-shaped, U-shaped or galley kitchen looks like. 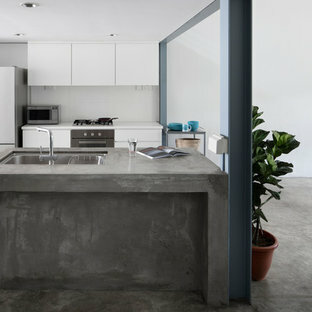 Analyse the pictures - see where the sink and stove are positioned in them. Then save these ideas in your Ideabooks. Group them into features such as kitchen cabinets, sinks, hood, backsplash, counter, and lighting.